Just like most other business, the fireproofing business has a code of conduct and some established standards which are mandatory for all the fireproofing companies to follow while conducting their work. These standards are formed, maintained and updated by NFPA, a regulatory body in USA and can be found online on their website. In the absence of standards, it will be a chaotic situation in terms of maintaining similarity in the level of safety measures to be undertaken for commercial or residential buildings. The standards provide uniformity and an organized way of establishing and executing procedures which need to be undertaken by fireproofing contractors. NFPA works as a central repository and provides valuable information about the minimum safety standards expected in carrying out fireproofing work. These standards are set for a broad range of objectives, the primary among them maintaining homogeneous safety standards across the country for various fireproofing work done by any contractor. The companies affected by fire would definitely lodge a claim with the insurance companies regarding the loss sustained by business due to fire. The insurance companies would follow a certain procedure before the approval of such claims and this would normally involve verifying the materials being used, the fireproofing safety norms being followed and whether the compliance with the standards was met by the fireproofing contractors and much more. 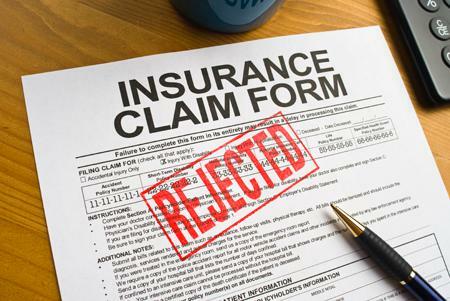 The bigger the amount of the claim, the more detailed is the process of verification of insurance companies. Even fireproofing contract companies would prefer insurance to shift the burden of indemnity, in case they are sued by the company which hired them for fireproofing. The best case scenario in these circumstances for contractors would be compliance with the standards. These standards would work as a shield for them against any financial loss in case of loss due to fire at any of the premises of their clients. If they have complied with all the set standards and followed the requisite procedures, they cannot be held accountable for the loss. Thus standards help in minimizing insurance related disputes. Most industrial fireproofing contractors in Alaska; which is a state prone to regular wildfires, would consider it a wise option to have insurance for them. Since the standards are set by a Government body and are mandatory to follow, there are less chances of any confusion or ambiguity in terms of industrial design. The contractors, the engineers, architects and everyone involved with the construction of a structure are well aware of legal requirements to comply with and as such there are no procedural delays in terms of construction from any of the parties involved. The standards guarantee frictionless functioning of different individuals who collaborate on a given task of constructing a fire resistant building and are involved in the fireproofing process. This speeds the whole process and makes it really simple for everyone involved. Since the standards are very detailed in specifying the minimum thickness of the fireproofing material and what exact materials to be used, the costing of these contracts becomes really easy and transparent. The companies can differentiate on the basis of their support, experience and more factors but not on the basis of the products used. The material requirements and characteristics are so detailed that it becomes a very open market where the service providers and buyers have the same information available at their disposal. This greatly reduces any wastage of time in negotiations involved in relation to costing a fireproofing job. Since the standards elaborate so much in terms of materials, their composition, thickness and other parameters, it becomes really easy to plan for the maintenance and repairs of the building structure. 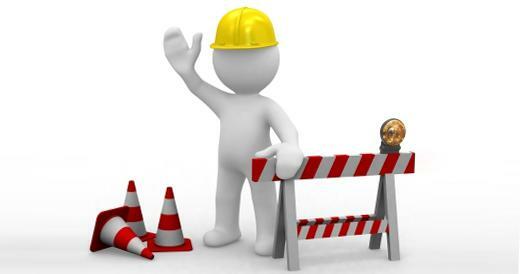 The minimum acceptable levels set forth in the standards should always be maintained and as such if contractors feel they need to update, repair and/or do any maintenance work due to the wear and tear or any other factor which would result in depreciation of the equipment or the fireproofing materials, it can be done easily. Since there is a central body which is responsible for issuing fireproofing standards, it makes the job of the players in the industry much easier because they have a reputed source to look after them in terms of maintaining, updating and revising these standards from time to time as and when the need arises according to the market conditions and new developments. The fireproofing contractors just look at the NFPA website and have instant access to updated standards and thus never get into hot water for not complying with certain conditions. The work becomes easier for contractor companies because industry changes, evolution of methods and development of new methods are all taken into account while formulating new standards or editing the existing ones by NFPA. Thus, fireproofing standards make life easier for everyone in the industry. From contractors, clients, engineers, fire equipment manufacturer and fireproofing service providers to insurance companies. The guidelines are needed to avoid chaos, and mostly minimize loss of property or human lives in the case of fires. Fireproofing standards justify their existence and are extremely useful for all the stakeholders.